The senate has tasked the Rwanda Revenue authority (RRA) to address the burden of tax payers paying Rwf500 charge to bank while declaring taxes, which is partly the cause of tax evasion and closure of businesses. 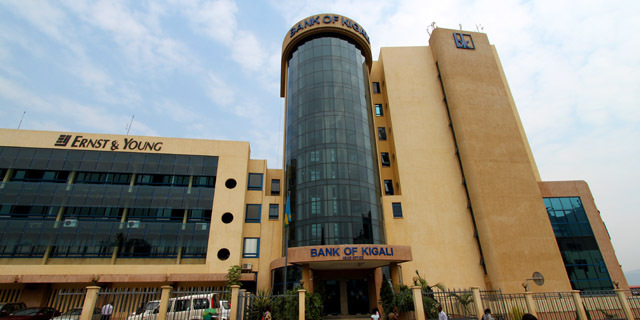 The Rwf500 bank fee is currently charged by Bank of Kigali and BPR Atlas Mara. The fee however goes up to Rwf1000 for I&M Bank. “The banks defend that the charges apply to clients who don’t have accounts in their banks to cover extra expenses because declaration is a service which requires them to hire more staff,” Pascal Bizimana, RRA Commissioner General told Senate on Thursday while appearing to explain how they are walking towards clean audit reports. “It’s not appropriate to charge someone a fee yet they are paying to RRA. This is not fair, it scares away many tax payers,” said Senator Evariste Bizimana. In the OAG reports, it was indicated that 7,154 tax payers didn’t register all taxes meant to be paid, while 18, 359 declared taxes worth over Rwf258.9 billion but didn’t pay and were not even followed up. “By charging this fee, you (RRA) are psychologically sending a wrong message to a taxpayer. I think RRA and banks should think of a way of reconciling this payment in increased declarations,” Obadiah Biraro, the Auditor General said. RRA Board Chairman Yussuf Murangwa promised to address the concern addressed as soon as possible. “If we don’t deal with this now it will come back again in the next report. We will negotiate with banks in the interest on taxpayers,” Murangwa said. Rwanda Revenue authority accounts for 80% of the country revenues collected, and with a target of reaching Rwf1.3 trillion in tax collection this year. Use of Electronic Billing Machines (EBM) is one way of ensuring this revenue is collected in Value Added Tax (VAT). However the senate indicated that big companies like telecoms and banks don’t use EBM. It also came to their attention that small business bypass EBM receipt. Thus, lack of systematic follow up caused VAT refund arrears of Rwf45 billion. Senators recommended that EBM be given to all businesses (small or big) for free as a way of making it easy for taxpayers to use the machines, and in turn increase the tax base. RRA Boss, Pascal Bizimana, said that this is already in plan and 1000 EBMs will be given out soon to small businesses. The plan is to have all businesses integrated into the EBM systems, once the law on business classification is revised.